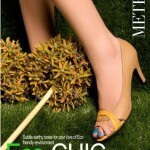 Metro Shoes is one of the most popular, peculiar and famous brand inside the Pakistan fashion industry.It deals with the shoes categories of all types. Every event,every season it Brings something new for their beloved customers and ever single time their collections just takes away the hearts of the women and inspire them. 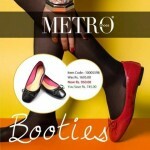 Metro has launched its many collections including Eids and seasonal as well,recently it has launched Winter/Fall Collection of Metro Footwear. This contain most well designed and marvelous winter footwear for girls.Women will find all types of footwear that are just too comfortable,soothing and warm for the upcoming winter season. 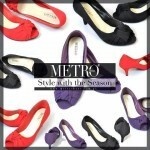 The Full winter footwear collection By Metro deals with sandals, pumps,cowgirl style,ballerinas as well as high heels shoes. 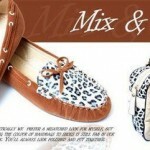 Each shoe has its own supreme and unique style and is for all type of women and young girls. The footwear’s are intended with the delicate designs and has high quality stuff which are presented according to the latest fashion trends in fashion house. The Fall footwear collection has loaded with the shoes having beautiful color scheme and full of dark and delightful shades like as red, Cameroon,green, black, purple, blue, brown etc. 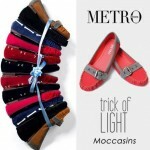 Today we are posting and highlighting few amazing pictures of Metro Fall footwear for girls. 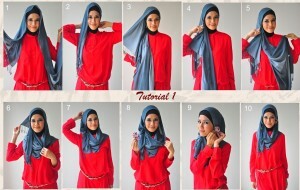 They are fashionable as well as pleasing and available at reasonable prices. Further, the girls will get surprise and feel curious to wear the stunning pumps and ballerinas in Mind blowing colors. All the pumps by Metro are incredible and impressive. This collection has been accessible for the girls at all the Stores of Metro as in Lahore, Karachi, Faisalabad, Islamabad, Sargodha etc. So now its your time to rush into the Store and grab your choice before the collection gets close.